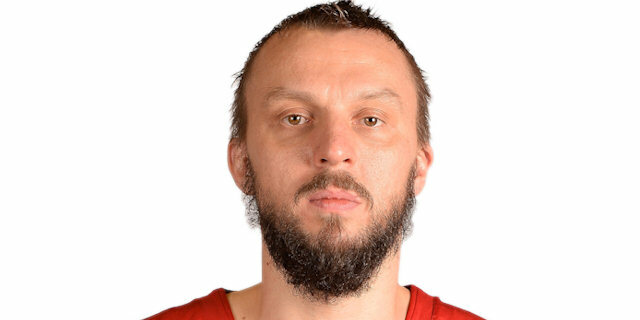 Anadolu Efes had a strong start in the 2011-12 Turkish Airlines Euroleague Top 16 by downing Galatasaray Medical Park 68-62 in Istanbul, Turkey in Group E on Thursday. 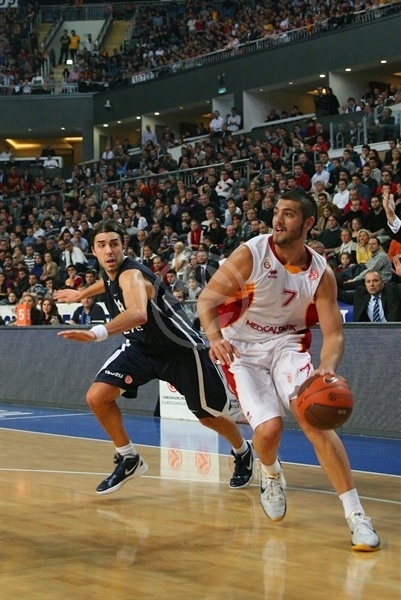 Efes joined CSKA Moscow atop the standings, with Galatasaray and Olympiacos just one win away. Sasha Vujacic paced the winners with 17 points. Dusko Savanovic added 16 - all in the first quarter - and a Euroleague career-high 17 rebounds while Stanko Barac had 12 points for Efes. 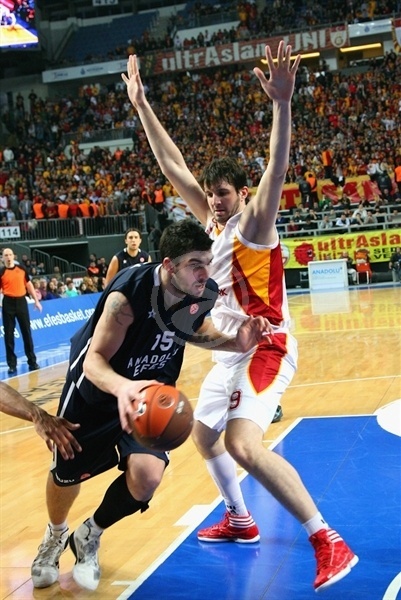 Luksa Andric led Galatasaray with 14 points. Jaka Lakovic added 13 while Jamon Gordon had 10 for the guests. 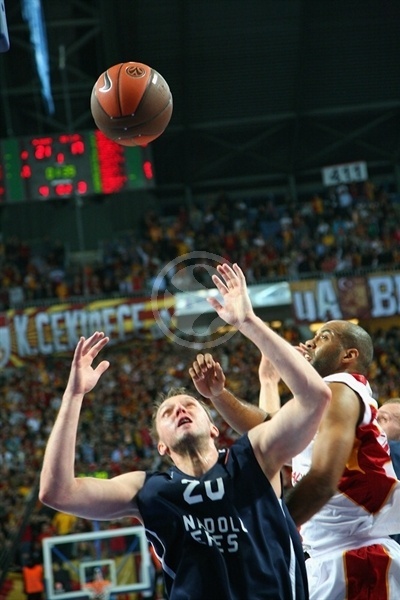 Savanovic took over in the first quarter, downing four three-pointers to make Efes get a 29-19 margin after 10 minutes. Andric and Lakovic shined in the second quarter to bring Galatasaray within 33-30, but Barac and Cenk Akyol shined late in the first half to boost Efes' lead to 45-34 at the break. Huseyin Koksal and Gordon bought Galatasaray as close as 50-48 but Barac led an 8-0 run that allowed Efes to keep a safe lead from that moment until the final buzzer. 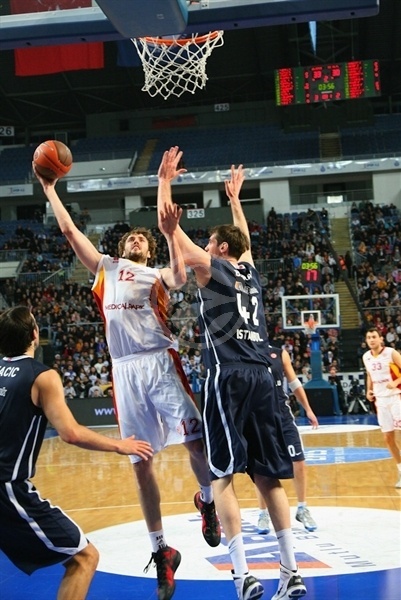 Efes outrebounded Galatasaray by 45-34 and pulled down 15 offensive boards, in which was the biggest key to this game. Furkan Aldemir got the guests going with free throws and a five-meter jumper by Josh Shipp gave Galatasaray a 0-4 lead. Darius Songaila capped a 0-6 run with a layup, as a three-pointer by Savanovic and a wide open jumper by Kerem Tunceri brought Efes within 5-6. Songaila sank a mid-range shot but Vujacic matched it with free throws and a jump hook by Savanovic gave Efes its first lead, 9-8. Savanovic kept pacing the hosts with back-to-back triples that capped a 15-2 Efes run. Gordon sank a triple but Savanovic - who else? - answered from downtown for a 18-10 Efes lead. Songaila shined with a layup-plus-foul and Koksal added a fast break basket, as the guests switched to a 2-3 zone defense. Vujacic punished it with a triple but a backdoor layup by Gordon kept his team within 21-17. Free throws by Savanovic and Oliver Lafayette ignited an 8-0 Efes run that Tarence Kinsey capped with an acrobatic basket for a 29-17 Efes margin. A layup by Andric brought Galatasaray within 29-19 after 10 minutes. Galatasaray improved its defense early in the second quarter and a close jumper by Andric got the guests a bit closer, 29-21. Barac shined with a put-back basket that Andric matched with a layup. Efes kept trying to run the floor and get Kinsey involved in transition. Lakovic hit foul shots, as Efes called timeout to readjust its offense. Lakovic kept pacing the guests with a three-pointer that brought his team within 31-28. Barac scored around the basket but Lakovic erased that with a driving layup. Barac sank a jump hook, as Efes improved its defense late in the first half, boxing out really well to prevent second-chance points. Akyol beat Galatasaray's 2-3 zone defense with a three-pointer, good for a 38-30 score. Akyol insisted from long range, forcing Galatasaray to call timeout at 40-30. Aldemir made free throws but Vujacic improved that with a triple. Shipp nailed a fallaway jumper but Esteban Batista shined with a close basket that fixed the halftime score at 45-34. Andric tried to ignite the guests' comeback with a backdoor layup, as Galatasaray used a more physical lineup with Koksal, Gordon and Shipp together on court. Efes went scoreless for almost 2 minutes until Vujacic sank a three-pointer but Koksal answered from downtown for a 48-39 Galatasaray deficit. Gordon set the Galatasaray crowd on fire with a huge dunk over Savanovic and free throws by Shipp made it a five-point game, 48-43. Vujacic tried to change things with a fallaway jumper but Koksal nailed another three-pointer to get the guests even closer, 50-46. Gordon scored in penetration but Vujacic buried a long jumper to give Efes some fresh air, 52-48. Barac scored down low and swished a mid-range jumper to boost ths hosts' lead to 56-48. The hosts kept excelling in defense, forcing Galatasaray to take off-balance shots, and Kinsey soon made Efes restore a double-digit margin, 58-48. Lakovic made 4-of-4 free throws but Vujacic stayed on fire with another jumper to give Efes a 60-52 margin after 30 minutes. It was make-or-break time for Galatasaray, that tried to speed up the game tempo and get its most experienced players - Lakovic and Preston Shumpert - involved. Efes started to run its offense through Savanovic due to his size advantage against Shumpert. 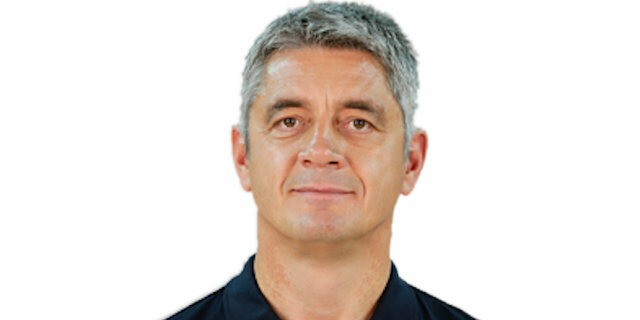 Batista scored around the basket and Efes held Galatasaray scoreless for more than 3 minutes until Gordon split free throws. 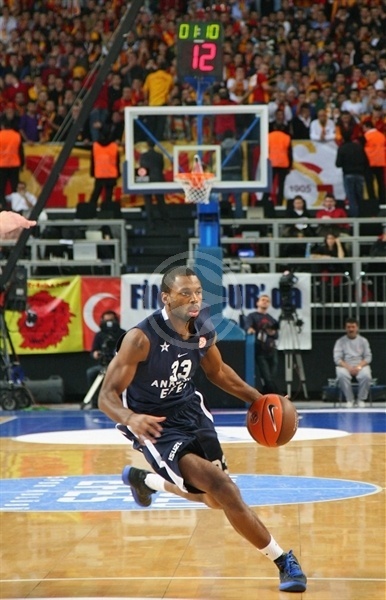 Kinsey took over with a fast break dunk off a timeout and Galatasaray entered the foul bonus right after that. Lakovic made free throws but a layup by Batista gave Efes a 66-55 margin with under 4 minutes to go. Gordon split foul shots and Andric followed a dunk with a fast break layup to give Galatasaray some hope, 66-60, with 1:57 left. Kinsey rescued Efes with a second-chance layup and even when Andric scored in penetration, a key offensive rebound by Savanovic made Efes seal the outcome in the final seconds and get a well-deserved, tough home win.